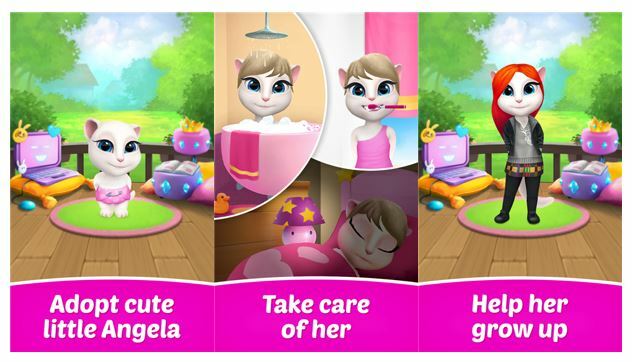 My Talking Angela is a free mobile game that targets kids, but adults are not restricted from playing it. The Outfit7 Limited-owned game is available for Android and iOS devices, but those who wish to play it on a PC can find a way to do so. Get Involved In A Very Funny And Engaging Gameplay. 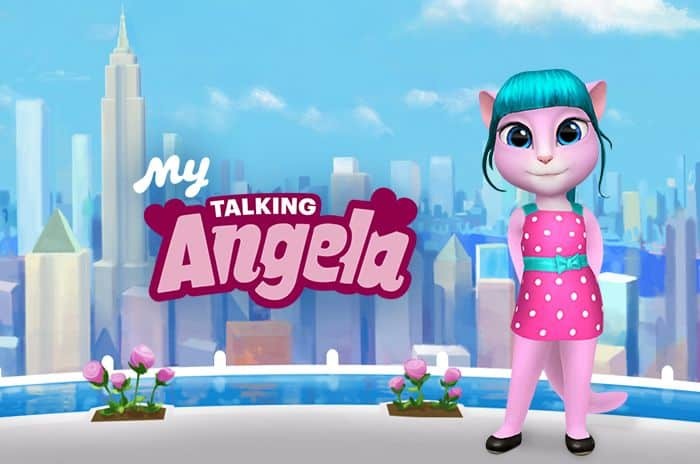 My Talking Angela is all about owning a virtual kid (Angela) and giving her good life which is totally funny. There are a lot of things you must do to Angela in the process of bringing her up. So you will find yourself engaged all the time. The storyline is simple and easy to follow. It is a children game, so there is no doubt about this. Take Proper Care Of Angela Throughout The Day. In the morning, you are supposed to brush her teeth, give her a bath and feed her with the most appropriate food. Know the type of food to give her at different stages of life. Understand Angela’s facial expressions to know what she wants or needs. Sometimes you will have to sing lullabies for her to sleep. You can set her sleeping time, but it is recommended to allow her get maximum sleep and rest. The aim here is to make Angela happy, something which will earn you gold, coins and other valuables. Find The Best Outfits And Accessories For Her. Another way to make Angela happy is to keep her beautiful and fabulous. Follow the latest fashion trends in order to secure the cutest clothes and stunning makeup for her. Ensure you buy beauty items that fit her properly in order to save time and improve your score. The game has stores where you can buy the outfits and accessories. Use coins and other valuables to buy clothes like ballerina & punk ninja and makeup like mascara, lipstick & eyeshadow. Get Involved In House Decoration And Furnishing. Angela will be happy when her surroundings, and especially her house, are neat and beautiful. You can customize her house by placing her photos on the walls and tables. You can also find nice stickers and embed them all over in her house. In addition, find top-notch furniture and install it in the sitting room and bedroom. As you continue to carry out these tasks, you will earn rewards and bonuses that will improve your gaming experience. Earn More Bonuses By Playing Minigames & Watching Ad Videos. Find minigames like Happy Connect and Bubble Shooter and play them to earn coins and other valuables. The more you play them, the more you earn the valuables. Watching the ad videos will earn you gems which you can use alongside the coins to buy clothes, foods, house furnishes and other necessities. Click the smiley face icon, followed by the diamond circle to access the videos. If you don’t have time to play minigames or watch ad videos, you can use real money to buy more valuable items like diamond. With a trunk of diamond, you can buy almost everything that pleases Angela. A good hack tool can also help you earn diamond. My Talking Angela For PC. You need an Android emulator in order to download and install the game on your laptop or desktop. This is a great opportunity to play the game on a bigger screen and use more efficient controls. The game is compatible with Windows 7, 8, 8.1, 10, XP, Vista and Mac OS. Sometimes when playing My Talking Angela, bluestacks ask you fee to pay but gives you option to download some apps. Every time it asks you just select “Install apps” and continue using it free. I hope you enjoyed this guide, please rate and share. 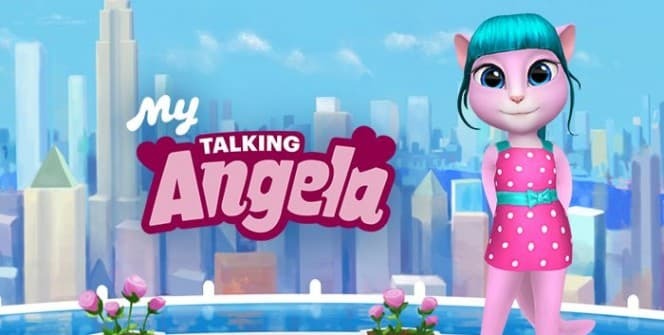 If you have problems running My Talking Angela on desktop or any other issues, leave a comment below.